This car is a mystery to us. Lane Motor Museum purchased it from a seller in England. 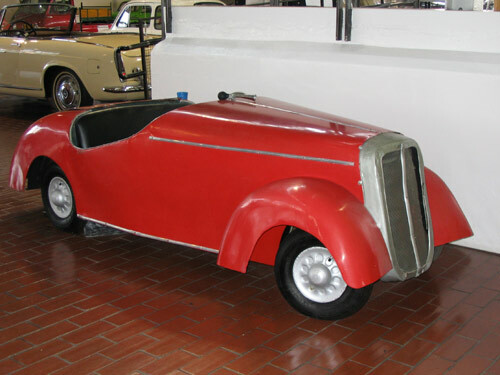 We were purchasing the 1924 Citroën 5CV which is located in the French section, and he asked if we would also like this car. 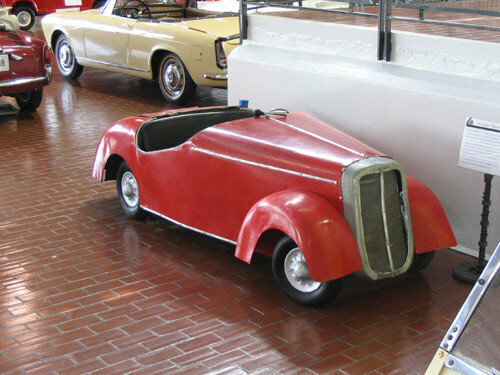 He could offer no history but it was rumored that this small car was used to train people how to drive a full-sized car. It was first titled in the 1940s, but our mechanic surmises it is older. 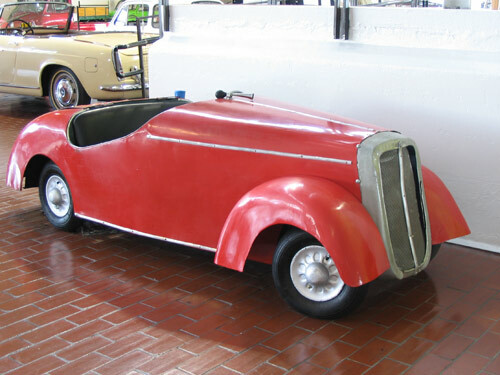 This car’s gas pedal is in the center position, which is similar to the 1924 Citroën. 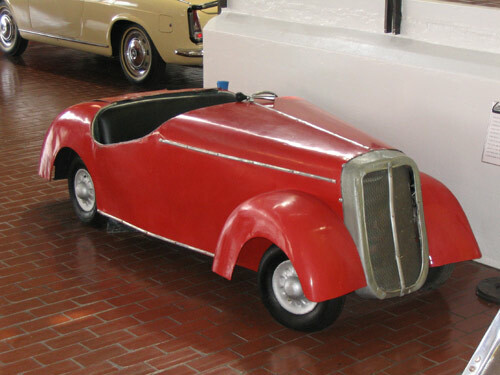 If you have any information that would help us solve this car’s mysterious history, please be sure to share what you know with us.